The launch of Microsoft Dynamics 365 has made the end of 2016 exciting and sent waves through the ERP/CRM space. This excitement may raise some questions for you that only a trusted Dynamics 365 Consultant can answer. Let us look at the top three reasons why you should seek an expert partner to get a handle on Dynamics 365. It does not necessarily make sense for an organization to move all of its IT-intensive resources to a cloud platform. However, with ERP, this is quickly becoming not-negotiable. ERP requires a level of flexibility and integration ability that is far too difficult to achieve with the average on-premises deployment. Perhaps the previous point does not apply to you; you are already well-established with a cloud-based CRM and/or EPR solution, perhaps even from the Microsoft Dynamics family. However, even this case Dynamics 365 is still relevant to you, as is all of the consulting expertise that it entails. This is because it is a conglomeration of the best functionality within the Dynamics line and meant to offer a “full stack” implementation that seamlessly blends infrastructure, CRM and ERP. It builds upon tried-and-true features and amplifies them – while allowing your personnel to operate across solutions. Traditional offerings in these fields required you to break away from your collaboration and productivity suites in order to be useful. Dynamics 365 allows you to leverage the same consistent up-to-date information while fluidly working across Outlook, Office, OneNote, Yammer, etc. and never losing focus. Since Microsoft is putting prime emphasis on Dynamics 365, smooth integration capabilities such as this are becoming standard in the industry, and the platform was built natively as an Azure-based, cloud-first offering, it behooves you to consider it as part of your technology roadmap. If you have already committed to Dynamics 365, then there are many aspects of optimization and customization that you can explore in order to make sure that you are making the most out of your investment. One of the most exciting of these opportunities is Microsoft AppSource. AppSource is an online marketplace offering third-party add-ons and content packs that allow you to extend the capabilities of your deployment and tailor it to your specific needs. 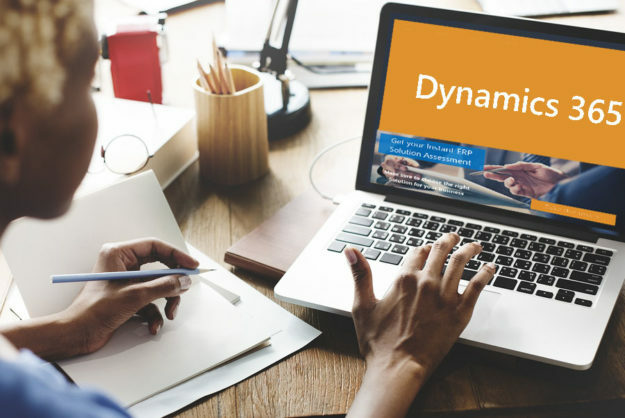 This market gives you the benefit of a well-stocked and up-to-date suite of choices made by qualified and knowledgeable providers, but since it is already a pretty large ecosystem despite the relative youth of Dynamics 365, you should seek a trusted and experienced Dynamics consultant to help you navigate it to your best advantage. How Organizations use Social Media to Boost Their Web Store Reach? How does one who has managed large programs, teams and implementations transition from a full time employee to an independent consultant in the 365 space?